The Kershaw Zero Tolerance Boot Knife model 0150 has a double-edged S30V blade with a blood groove on both sides. The blade is full tang for maximum strength. The handle is machined G-10 for good grip even in wet conditions. 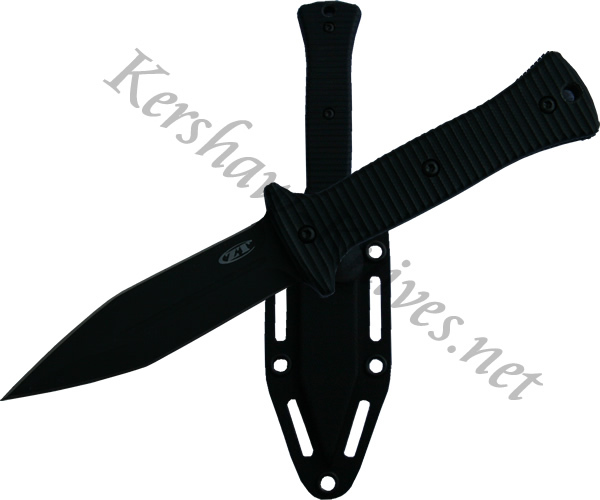 The sheath is MOLLE compatible, allowing you to attach the boot knife a variety of different ways.